What does privacy mean to you? Please draw your answer. 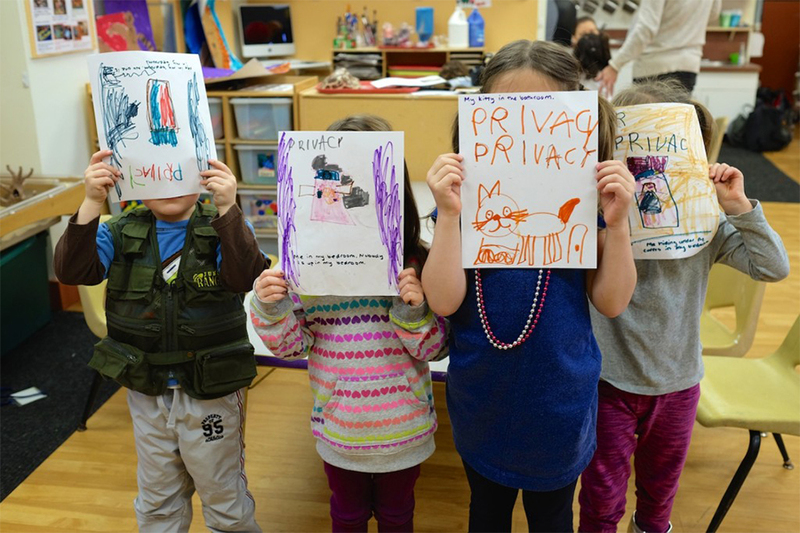 In 2014, Lorrie Cranor and her graduate students asked hundreds of people ranging from age 5 to 91 to draw their own illustration of privacy as part of her "Privacy Illustrated" project. ISR's Maggie Oates has spent the last couple months analyzing what it all means. "From these illustrations, I wanted to understand what models and metaphors people use for privacy," says Oates, a student in the Societal Computing Ph.D. program working in the Institute for Software Research (ISR). "I really want to think clearly and deliberately about the types of metaphors that we use in education when we present our work or write academic papers." Last week, Oates presented a study she led with a team of CyLab researchers titled, "Turtles, Locks, and Bathrooms: Understanding Mental Models of Privacy Through Illustration," at the Privacy Enhancing Technologies Symposium in Barcelona, Spain. The paper received the symposium’s Andreas Pfitzmann Best Student Paper Award'. The study qualitatively analyzed 366 illustrations produced by laypeople, privacy experts, children, and adults who, in drawing, responded to the question, "What does privacy mean to you?" The team analyzed the illustrations to identify privacy themes and define the conceptual metaphors used to convey privacy. Illustrations included a wide range of concepts, including toilets, curtains, locks, doors, and turtles. "A lot of kids think about bathrooms when they think about privacy," Oates says. "Children also tend to focus on cheating on schoolwork, but rarely highlighted data privacy in their drawings." The NSA was present across the whole spectrum of age groups, which the team found surprising because they thought that perspective on privacy would only exist in older groups. Overall, the team didn't find any major differences in views on privacy across age groups. "Younger people giving up on their privacy or older people now knowing what to do about it – you definitely do not see that in this dataset," Oates says. The study also looked at how a person's level of expertise in privacy might affect the metaphors, themes and other aspects of their illustrations. While non-experts tended to focus on a strong physical divide between private and public spaces, experts were more likely to have more nuanced views of privacy. "There's one drawing of a person who has levers controlling a giant claw that moves their information around," Oates says. "There's an emphasis on people being able to control their information, and a de-emphasis on this divide that is so strict and inflexible." Oates hopes that this study can help improve how privacy is taught in classrooms and communicated in public, perhaps with new metaphors or themes that aren't commonly used but were found in the collection of illustrations. “I don’t think there’s ever going to be the lynch pin metaphor," says Oates, "… but I think the turtle is good. It’s a hard barrier, but it also encompasses this personal space aspect — it’s part of your personhood. You have control because you can contract or expand within your shell. You can poke your head out and leave your legs in." Other authors on the study included ISR Privacy Engineering M.S. student Yama Ahmadullah, ISR Ph.D. student Abigail Marsh, CyLab research associate Chelse Swoopes, Language Technologies Institute PhD. Student Shikun Zhang, ISR adjunct instructor Rebecca Balebako, and Lorrie Cranor.